This ultra-thin tempered glass screen protector for the iPhone 7 from Olixar has complete edge to edge screen protection, toughness, high visibility and sensitivity all in one package, with the added bonus of limiting potentially harmful blue light rays. Fits the iPhone 7 perfectly. Nice one, thanks. I have one for my iPhone X and this one for my wife’s 7 - they’re virtually invisible, go on like a dream (no bubbles at all) and are the only wrap-around protectors on the market. Well done, Olixar! This ingenious solution to protecting your iPhone 7's screen involves a 0.3mm thick tempered glass protector that covers even the edges of the curved screen. The underside of the screen protector sits flat on the screen and matches the contours of your phone's screen perfectly. This covers the entire screen and offers complete protection. This screen protector is very form-fitting and does add some depth to your phone screen at the extremities. Therefore it may be wise to consider your case if using one alongside it. Certain types of cases, such as soft or gel cases are not going to present a problem. Any case that does not encroach on the front of the screen or fascia should be fine. 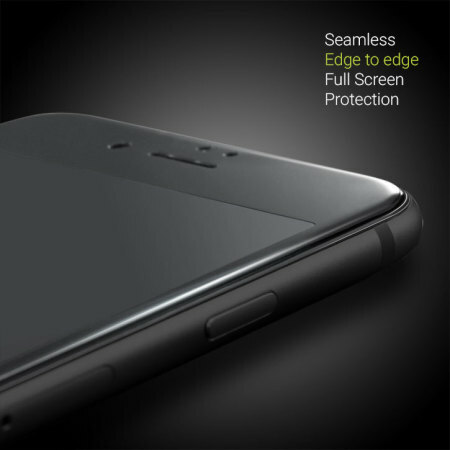 Some rugged protective cases may do so, and by that we mean apply pressure on the outside of the screen protector causing minor cracks that may compromise it. All cases vary by model, so please, if you're not sure, just ask us. 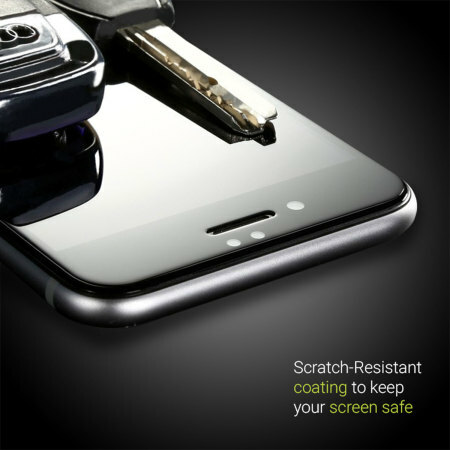 This screen protector has built-in anti blue-light technology that filters the potentially harmful blue light rays that are produced by the phone's display. This helps to protect your retina and improve your sleep. It also reduces eye fatigue. The human eye is sensitive to only one part of this spectrum: visible light. Visible light is that part of the electromagnetic spectrum that is seen as colours: violet, indigo, blue, green, yellow, orange and red. Blue light has a very short wavelength, and so produces a higher amount of energy. Studies suggest that, over time, exposure to the blue end of the light spectrum could cause serious long-term damage to your eyes. 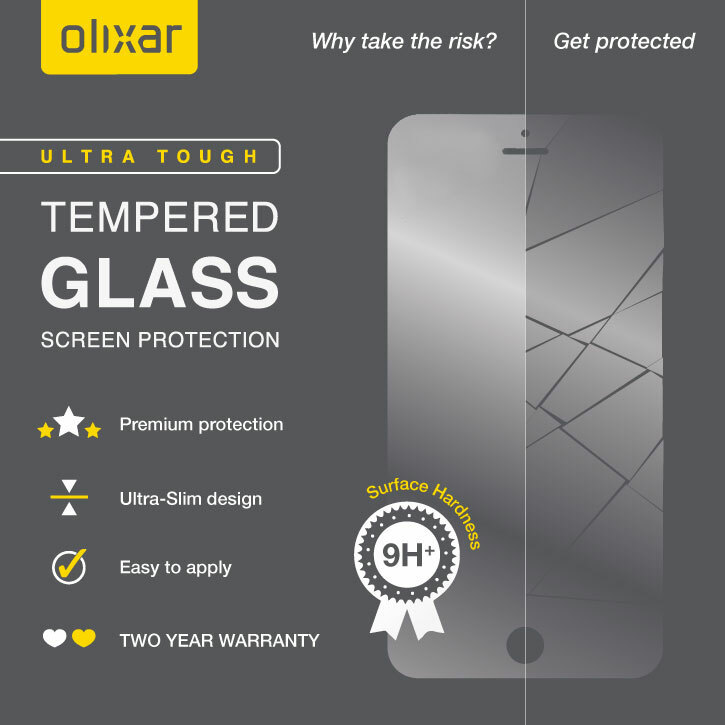 The Olixar Anti-blue light full cover screen protector is made from a reinforced tempered glass that maintains perfect image clarity while protecting your phone's entire screen from scratches and external shock. 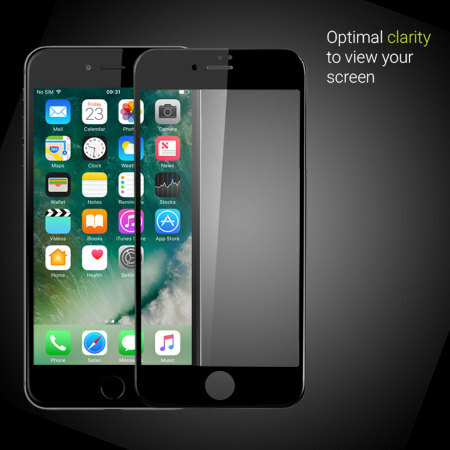 Crafted with tempered glass technology inside, this Olixar Tempered Glass Screen Protector for the iPhone 7 provides you with a shatterproof design that guards your precious display from accidental bangs and drops. Well, rest assured that not only will this screen protector allow you to use 3D touch as you would normally but regular touchscreen accuracy is also unaffected. So not only can you enjoy superb protection, you can use your iPhone as you would without the screen protector fitted too! We do spoil you. 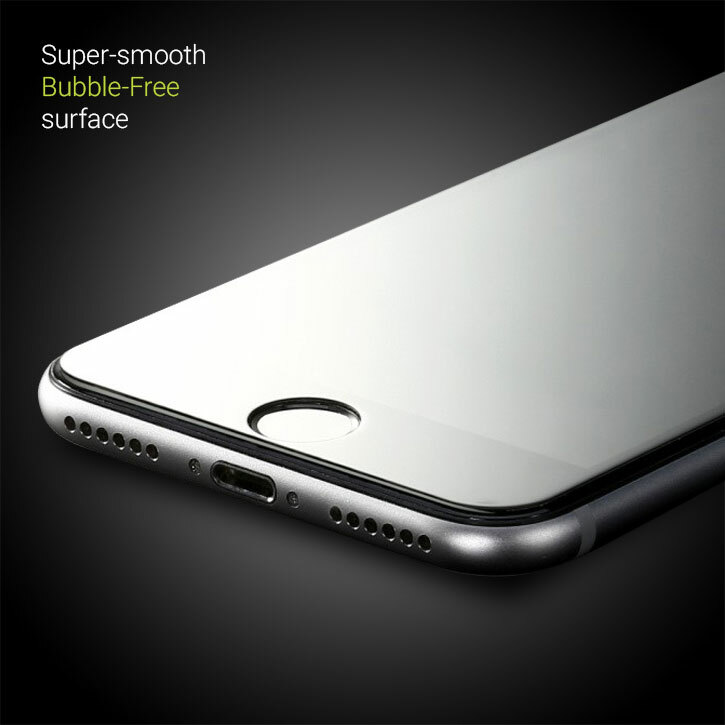 The super-thin Olixar Tempered Glass Screen protector provides optimal clarity that resists scratches and scrapes. You can now leave your iPhone and your keys in your pocket without the need to worry about your device's screen. The Oleopobic coating provides oil-resistance to prevent smudges resulting from oil, cosmetics and other contaminants with no rainbow effect. Any marks and fingerprints can be wiped away easily. Enjoy optimum clarity and easy wipe cleaning to maintain a pristine clean screen! The last thing you want when you have a glass screen protector sitting proud on top of your phones screen is a squared edge. A right angle is sharp and sharp is not a good idea when dealing with glass. Secondly, it gets chipped more easily. While a screen protector is design to take damage, the best defense is a curved edge to deflect energy away from impacts. Finally, it just looks classier. 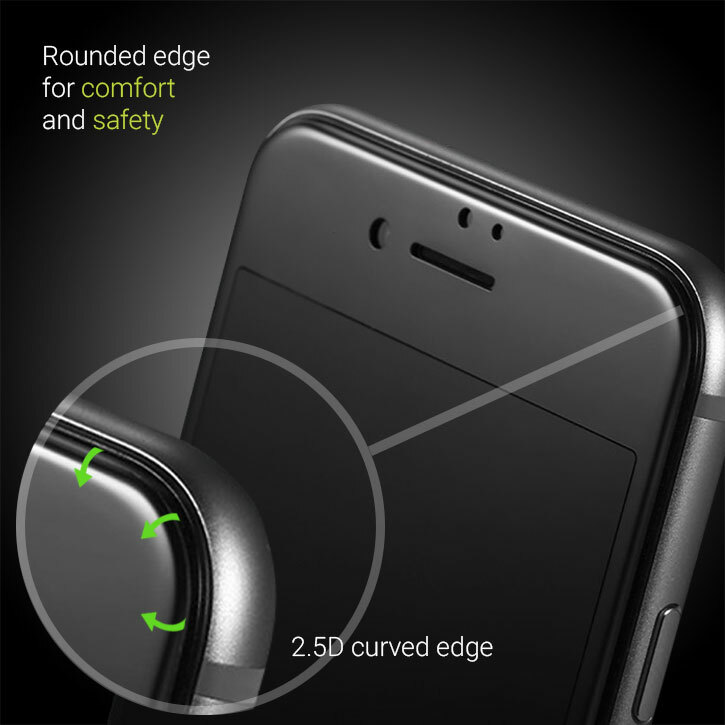 You already have a curved edge on your phone's screen so match that nice curve with the 2.5D curve on offer here. Despite offering great screen protection for your iPhone 7, the glass is only 0.3mm thick. This means it only adds an almost imperceptible amount of extra thickness to your phone. 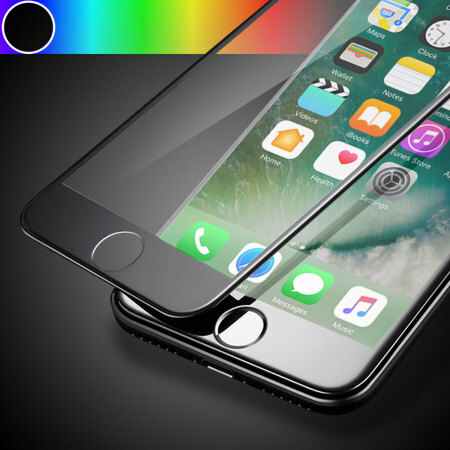 Designed specifically for the iPhone 7, the Olixar anti-blue light tempered glass screen protector offers a protective fit for your device.